Right-wing bloggers are incensed. Leftist French laborers are kidnapping company executives. Stu, we need cleanup in aisle five! Can anybody hear me?! What in any god’s name is someone doing opening a nightclub in this climate? Look: If we’re going to get any of President Barry’s stimulus moolah, we need to look despondent. Maybe sport gangrene or catch rabies. We can’t dial it up for late-night scenes. It has live music, you say? We’re listening. 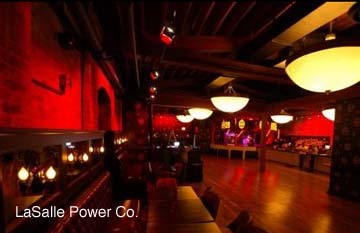 The LaSalle Power Co. bows May 1st in River North (the old Michael Jordan’s location) and redefines “nightclub” for downtown (no, it doesn’t suddenly mean “pear”). The 20,000-square-foot space spans three levels, including an intimate live stage, restaurant, and bar. With plans to showcase local and national talent, we may be forced to head back downtown for more than handouts. A couple months ago we told you about the Chicago Noise Machine, a loose conglomeration of local bands including A Birdsong Valentine, Algren, Bullet Called Life, Echo Son, Heavy The Fall, Lucid Ground, Reverie, 72 Hours, and Simplistic Urge. Well, now these fellas done gone and made themselves a festival, one they’re calling the largest independent-artists party in the area. The single-day I AM Fest (Independent Arts & Music) goes down June 13th at Congress Theatre, and promises 25 bands (all local) and the same number of art/photography/film exhibits. CNM is hellbent on fostering a successful, thriving scene and this is just the next step in the revolution. For more information, visit www.iamfest.com. By now you’ve heard: Capitol is finally unleashing remastered versions of all The Beatles‘ albums this fall to coincide with The Fabs’ own entry in the “Rock Band” video-game series. 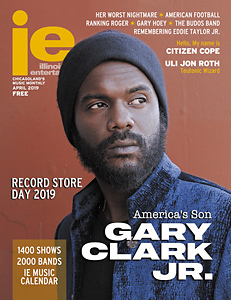 Most observers are calling this the music industry’s last big CD push, paying specific attention to the fact they aren’t rolling out refurbished albums one at a time, but dropping them all at once presumably so they can move on. Others have noticed a surge in reissues, with The Rolling Stones revisiting everything post-Exile On Main Street through 2005’s A Bigger Bang this June (a stitch that includes Sticky Fingers, Goats Head Soup, and Some Girls), and EMI purging the Radiohead vaults (see “Spins”). Sub Pop Records, that indie pillar, has upped its ante with bulky packages for Red Red Meat‘s Bunny Gets Paid, a reunion-ready Vaselines, and a blowout of Sam Beam’s Iron & Wine archives. Us? We’re drafting our snotty “sounds better than MP3s” rant for when CDs hit a revival wave in 10 years. Few people know this, but the pages that hold “File” every month are woven from the rarest Shanxi caterpillar silk. That in mind, when you come to the end of this month’s White Rabbits feature, we don’t want you tearing through this section to divine the origins of the Do-Division Festival. It more-or-less launches street-festival season in our minds, spanning Division Street from Ashland to Leavitt on May 30th and 31st, with two stages of indie-rock insobriety. We won’t mindlessly blow our way through silk to list all the bands, just that local DJ superstars Flosstradamus headline the first night with Handsome Furs, while the Rabbits provide direct support for Menomena to close. You REALLY need to get this crap fixed! Meant YOUR site, but you get the jist!